Uncut Rough Diamond Crystal No. 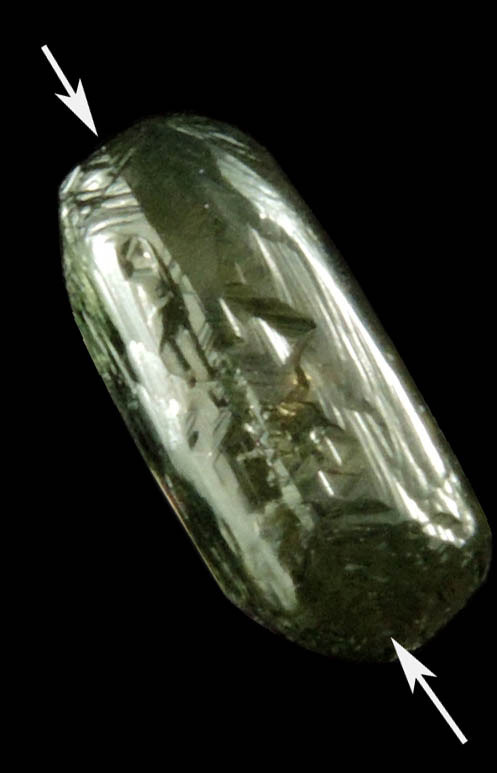 72562: Diamond (1.92 carat green macle, twinned rough diamond) for sale from east of Kérouané, Guinea. 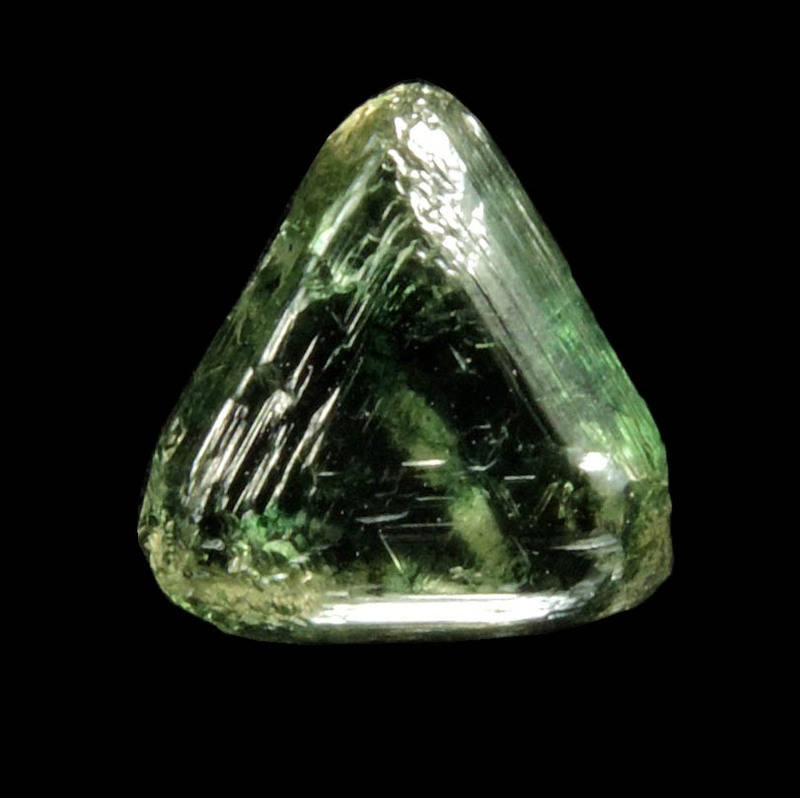 Diamond (1.92 carat green macle, twinned rough diamond) for sale from east of Kérouané, Guinea. Mineral Species: Diamond (1.92 carat green macle, twinned rough diamond). Location of mineral deposit: east of Kérouané, Guinea. 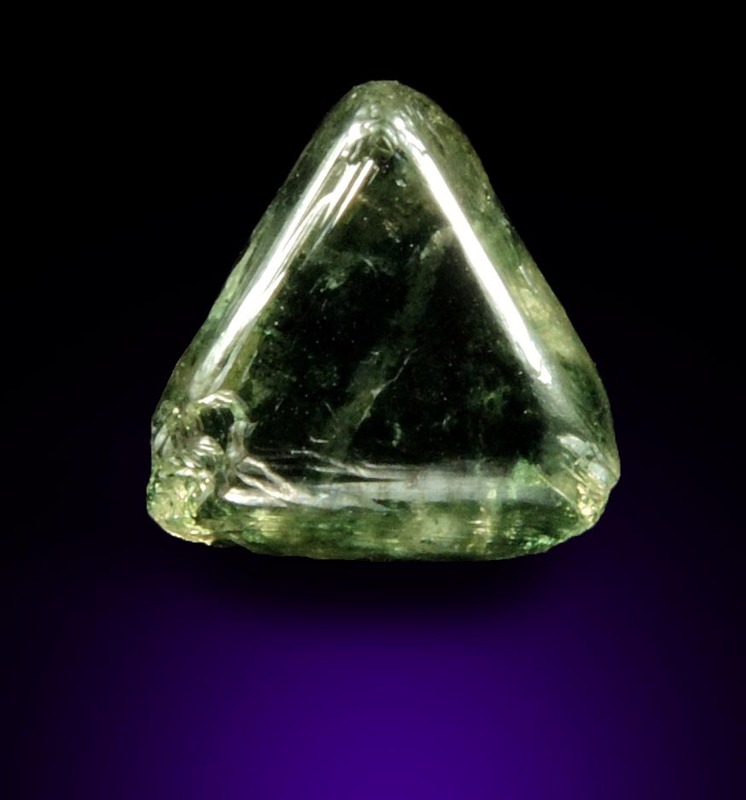 Description: Lustrous transparent deep-green rough diamond with classic triangular shape, the result of twinning following the Spinel Law. Internally there are many dark inclusions in the outer layers of the diamond which is typical of green diamonds. No damage. Overall size of mineral specimen: 8x7x4 mm. Price: $4150 net (plus shipping).